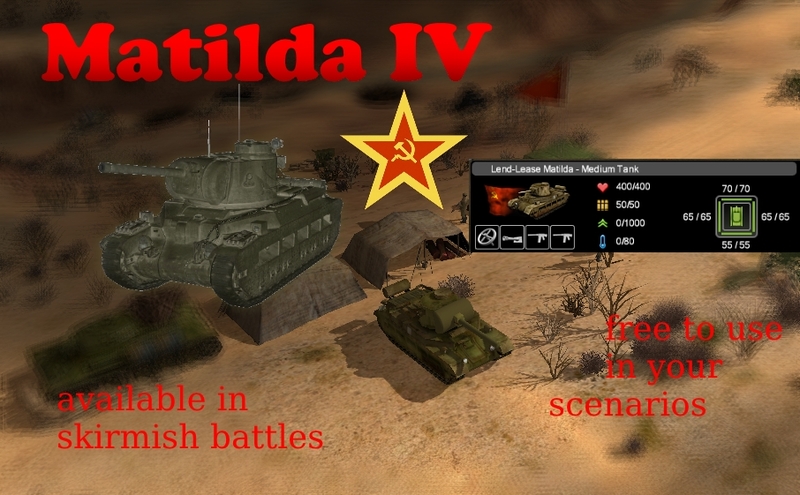 Introducing the mighty Matilda IV, the Lend-Lease British Tank from World of Tanks. Has same armor and speed than the Matilda Mk2, but a 76 caliber main gun (76 damages) and carries less ammo (50 instead of 67). Among the total amount of sent Matildas in USSR, only one model was modified to carry a 76 russian main gun. There is no proof of any massive modification on all the Lend-Lease matilda.